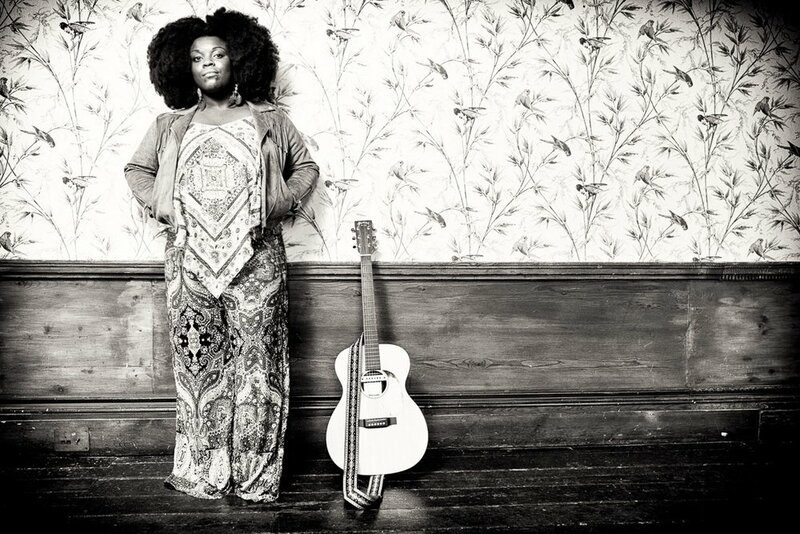 UK based Soul, Country, Americana diva Yola Carter has just about one of the best voices in the business. Diva is almost the wrong word because she is one of the nicest people you will meet but Diva is right when you hear her voice and believe she should be up there with the big names. 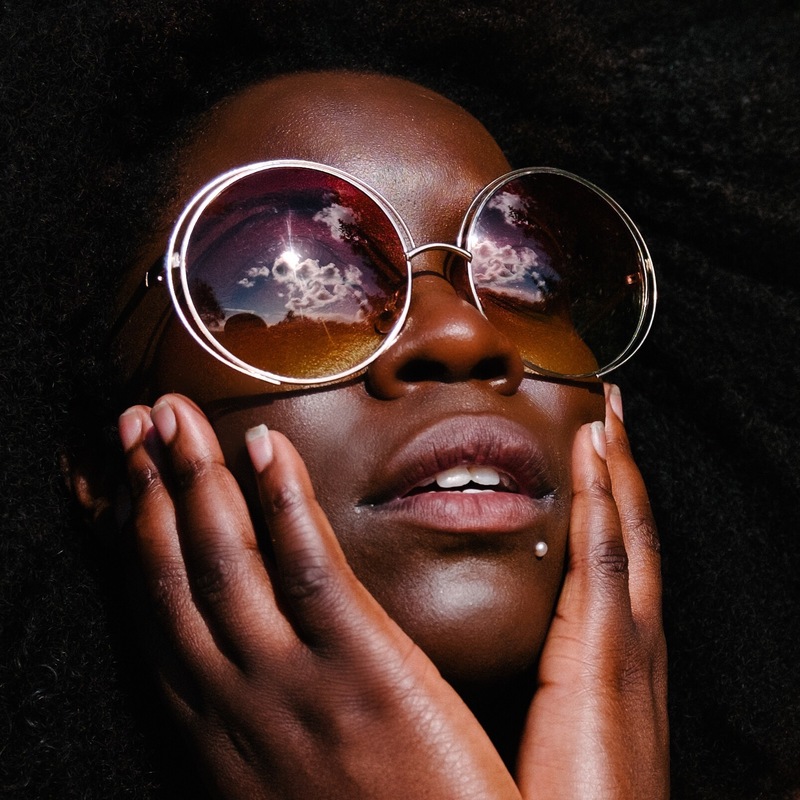 Yola’s music has a little bit of everything, soul, country, blues, americana and even Jazz. A singer, a songwriter, a producer you name it, Yola can do it all and do it well she does. Yola’s EP Orphan Offering was released back in 2016 and it completely blew our minds. We waited a long time to see her live but finally got the chance at The Long Road Festival in September and we are so glad we did. Her set was mad packed and absolutely rockin’, we certainly had a party. We caught up with Yola to chat music and more. I hope you enjoy! Hi Yola – How are you? Good, finally coming down off the gig highs. Have the festival shows been so far? Oh lovely! In fact I think I could see you guys hahaha, outside on the back at the side? Yes haha! So you are Bristol based? And you get involved a lot with the Americana events Bristol don’t you? Yes, there is a lot going on and a lot of us come from Bristol. Elles Bailey, AJ from The Wandering Hearts. Oh really? I didn’t know AJ was based there. Yeah we went to school together, he was the year below me. Wow, did you know each other? You never really know the year below but I remembered his face though which creeped me out for ages haha as I knew it was familiar. Tell us about you sets? What about the Honky Tonk stage? Oh that is such a vibey room isn’t it? Yes very – You were part of the stage that had the Loose Music Takeover but you are not with them? You would be the perfect fit though. I know it’s a new thing. Thank you. I can tell you nothing. Although I can tell you that I am signed, I can tell you that I have recorded and I can tell you that I have recorded in Nashville and that is where I signed, but that is all I can tell you. Can you at least say if it is within the same vibe as Orphan Offering? Yeah, so I think that you can tell by set today that there is a country element, a soul, a sixties popish sentiment there but maybe mine is a bit more of a staxxs beat. I think we have gone maybe more into the sixties pop way. That will run very well into the stuff that I have been writing so it’s a good fit. I think we have gone bigger because we can now that there is a budget where my other record I had no budget haha. Tell us a bit about Orphan Offering because we loved that EP. Thank you. That record was first four songs long and then I added a couple before we took it to pressing. The idea was that I wanted to at least for one time in my life just do something acoustic, something emotive and not a massive production. The plan was to go big for the album and then more acoustic for the EP. I also wanted people to know me in a singer/songwriter sense so I needed it to be based on songs that I had written and had small arrangements for. That EP was fun and it was fun producing it as well because I had been part of production teams before but I had never produced on my own. I was able to have a few experimental moments. It has been a real revelation but the great thing about it is knowing that you can dip your toe into that situation and it is fun. For me, my main thing is singing and writing songs, that is my bread and butter so that was a real sense of setting free. I am going to say this now because I may not need need to say it again after this as I will be in the album phase pretty soon. I chose songs for the EP that by and large that I had written myself and that I knew I was going to produce myself. Being a woman and being a woman of colour you find that when you are debuting something, people are looking for anyone else to attribute the skill. They say “Oh I really like that, oh that was an interesting reverb choice” And so on haha. It is very hard to get the creds for doing all of those things and in a lot of interviews you don’t even get asked. In my mind I thought that it would be an Important thing that if it was a solo project to bring the focus so people know your full skill sets – so it’s like an introduction. So people can ask “Did you write all your own songs? ” Yes I did “Did you deliver all your songs? ” Of course I did. “Did you produce this record?” Yes I did. “Were you in on mixing ?” Yes I was. “Were you in the room of mastering?” Yes I was. People are surprised that you can do all of the work and that you didn’t just write a (starts humming) at the end. It’s funny you say that because it is true. In country music not so much because we country, Americana, roots fans kind of just assume every artist writes their own material and it becomes more of a shock when they don’t rather than the other way around but in more mainstream, pop music, industry people or fans are more surprised. Take Taylor Swift for example. Because she is mainstream now, people just assume she is a manufactured princess who gets handed material and they don’t realise she writes her own stuff, I mean her fans do but not always everyone else. Why? There are so many reason for women to not get taken seriously. It is so important that people know. I realise that it would be easy as heck for someone to ignore that or assume something different. I have been present as part of a large production team doing pop music, we have done stuff for people like Katy Perry, Snoop…. Crazy stuff like EDM, pop. I have been part of a production team for a long time since I was about 18 years old. First doing vocal parts and then doing full arrangements. I knew that was within my will house but I was very aware that I had to do it just to focus that energy and do it myself which is fine. Well the hard work shows on Orphan Offering and I am really looking forward to an album. Thanks so much for chatting today and hopefully see you soon.